Hope the flight wasn't dreadful! Happy birthday, @Martha (at least according to forum-time at the moment). We all miss you and hope that you're doing ok. Wherever you are right now @Martha, know that the forum misses you greatly! Get Back here when you can! Happy birthday @Martha Our Dear! We hope you're doing well out there in Real-World Land, wherever out there may be -- come back if you can. I miss my chief ranting partner! Another one today: Happy birthday to Maureen! You're a champ. Belated happy birthday to @O Boogie! 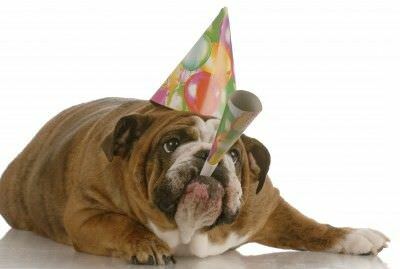 And a very happy birthday to our very own @SgtPeppersBulldog!! Hope you have a fab birthday, @SgtPeppersBulldog!! Just got back from a celebratory dinner. Unfortunately, no Beatlesongs were heard, but I did catch The Hollies' "Bus Stop" and The Bee Gees' "How Deep Is Your Love" which made up for it. P.S. Thought I'd give "Birthday George" (the official name for this avatar) another airing this year. Happy birthday, SgtPeppersBulldog! Love your avatar! Happy 52nd birthday to Mr. Zak Richard Starkey, drummer extraordinaire!! !